As a general rule of thumb, your monthly housing payment should not exceed 28 percent of your income before taxes. When determining what percentage of income should go to mortgage, a mortgage broker will typically follow the 28/36 Rule. The Rule states that a household should not spend more than 28 percent of its gross monthly income on housing-related expenses. In addition to mortgage payments, housing expenses include property taxes, home insurance and similar expenses. While this is the standard, this percentage is not right for everyone. Some individuals are able to spend more or less depending on their individual circumstances. The first thing you need to do is to calculate your monthly income. A mortgage broker will usually look at your gross monthly income, or your income before taxes. If you are self-employed or work on commission, a broker may look at your adjusted gross income based on your tax returns. When calculating your income, a broker will usually review your past two years of W-2s and determine the average earned over these two years. Most brokers would compute this as an income of $94,000 per year, or $7,833 a month. Once you know your gross monthly income, you can use this number to determine what percentage of income should go to mortgage. 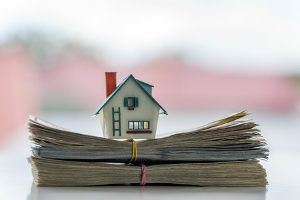 While lenders can approve higher percentages, the law does not allow the approval of mortgages that would take up more than 35 percent of a person’s monthly income. Most lenders must follow strict policies that limit a mortgage payment to a lower percentage, that commonly being 28 percent. Mary has an average income of $94,000 per year, or $7,833 a month. To determine her total mortgage payment, multiply this number by 28 percent. Other costs should also factor into this number, such as homeowner’s insurance and real estate taxes. Not everyone can afford to pay a mortgage that takes up to 28 percent of their income. If you have a lot of debt or other financial obligations, this percentage may be lower than the norm. Credit cards, car payments, student loans, and personal loans can take a good chunk of your income. It is important to consider these debts when determining what percentage of income should go to mortgage. Debts, along with your total mortgage, should account for no more than 36 percent of your gross monthly income. If you have excellent credit or are looking to apply for a USDA or VA loan, you may be able to obtain a mortgage without a down payment. Some programs, such as FHA, will allow you to put down a small down payment. However, these programs typically require that you pay some type of mortgage insurance. Most lenders require a downpayment of 10 to 20 percent to ensure that you are a responsible borrower. The more money you put towards a down payment, the more home you can purchase. Take this into consideration as you determine what percentage of income should go to mortgage. In addition to your down payment, you will also want to account for closing costs and broker fees. Borrowers have the option of paying up to 5 percent of the mortgage loan amount in closing costs. Therefore, on a loan of $180,000 that would be $9,000. As different lenders offer different programs, check with several lenders to see where you can get the best deal. Remember that your down payment and closing costs are not the only funds you will need. You will also be responsible for prepaid expenses, such as the mortgage interest charged on your loan after closing and title insurance. Homebuyers seeking a mortgage may not know how much they are can afford for mortgage payments. 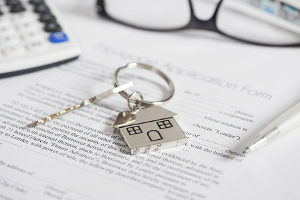 While the 28 percent rule can give you a good idea of the percentage of income that should go to mortgage, this is not the only factor to consider. Monthly debt payments can also reduce your ability to make mortgage payments. If you are preparing to buy a home, seek guidance from mortgage professionals. Fairfax Mortgage offers consulting and qualification assistance services for individuals who need help applying and qualifying for home loans. Call today to get started.